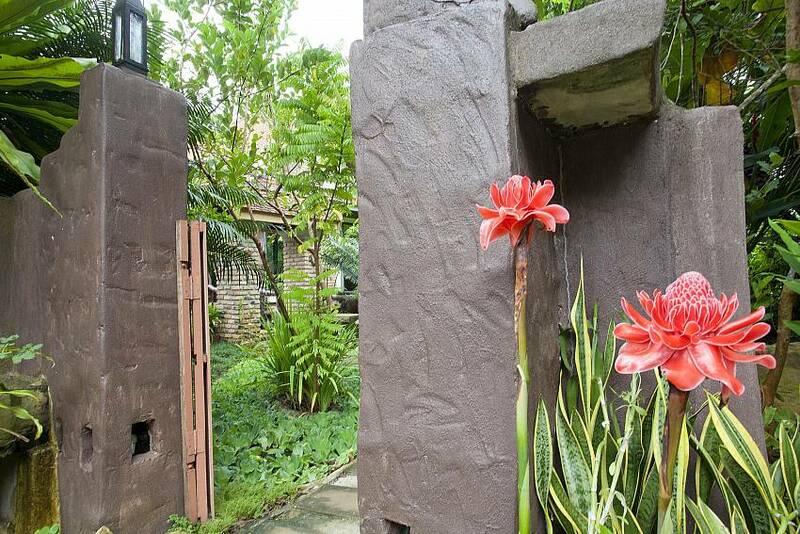 This two-bedroom villa has been lovingly fitted out with tons of charm and character to make you feel really at home while enjoying the marvellous tropical atmosphere. 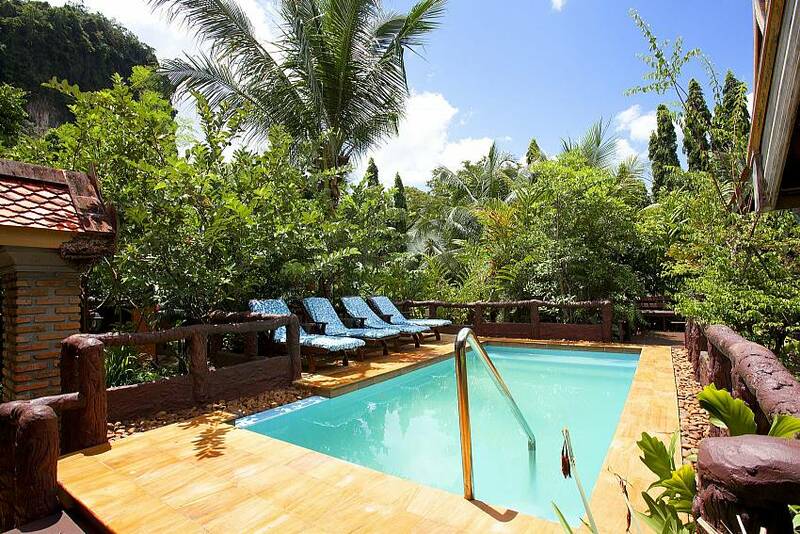 The villa is centred round its own private swimming pool that is enhanced by the wonderful surrounding gardens. 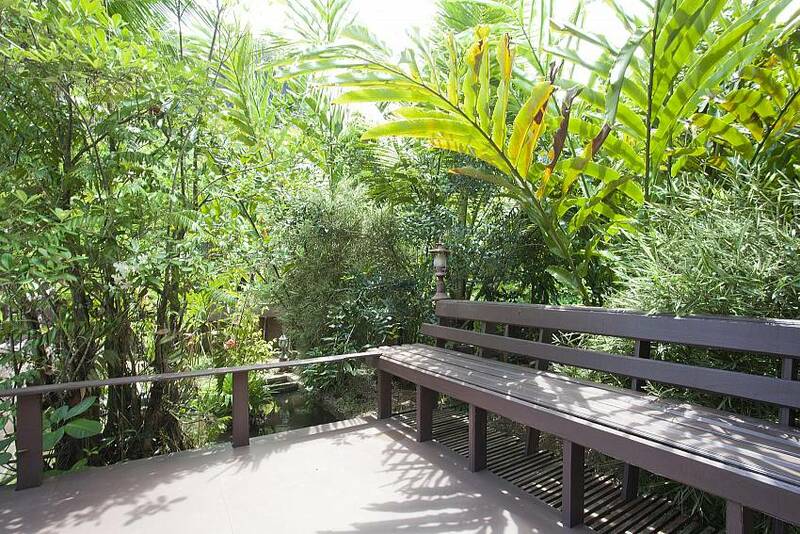 There are a variety of terraced areas, each which its own individual character, where you can relax and unwind and enjoy your peaceful and lovely surroundings. 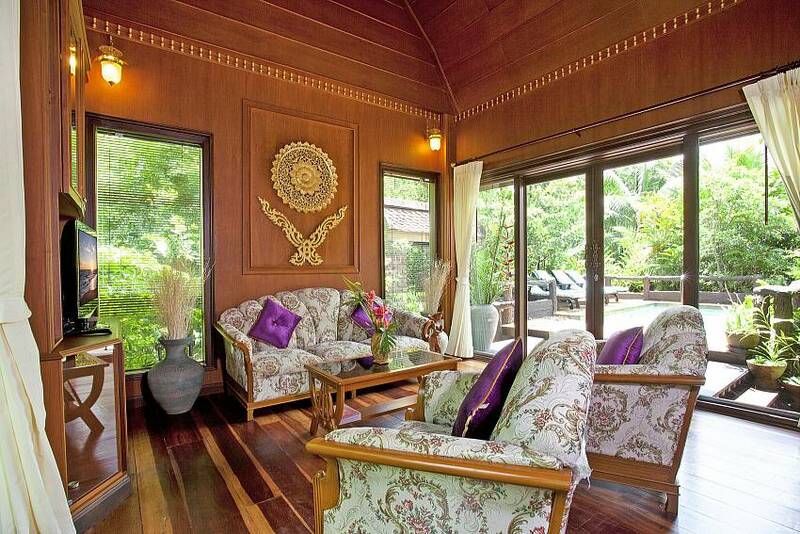 The villa interiors have a warm Thai ambience with lots of wood, vaulted ceilings and artworks. 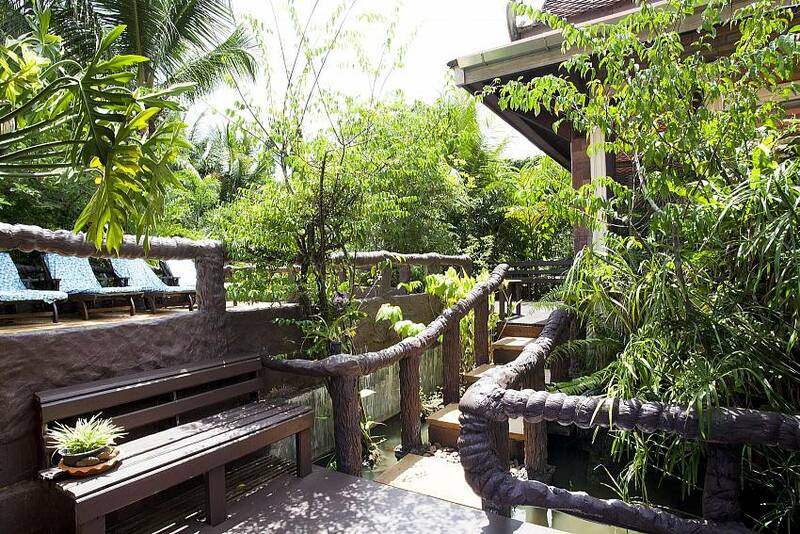 Both bedrooms open out directly to the terrace and pool. 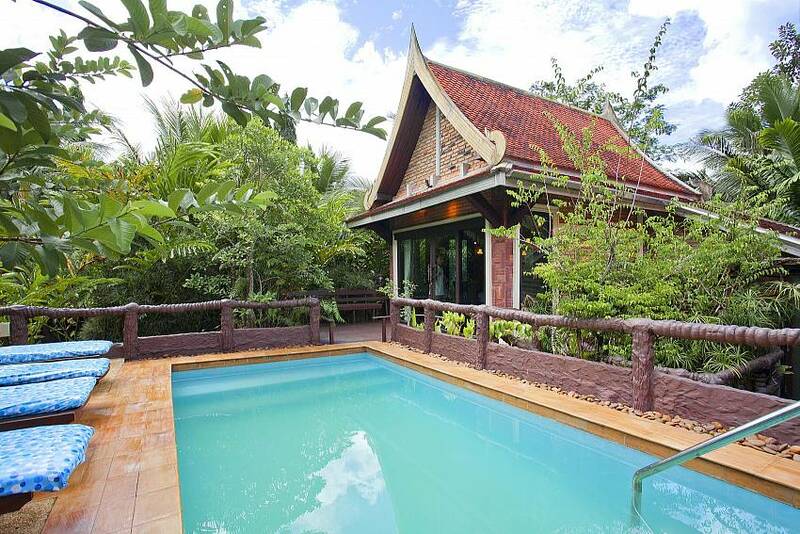 The villa is situated between Ao Nang and Krabi town. 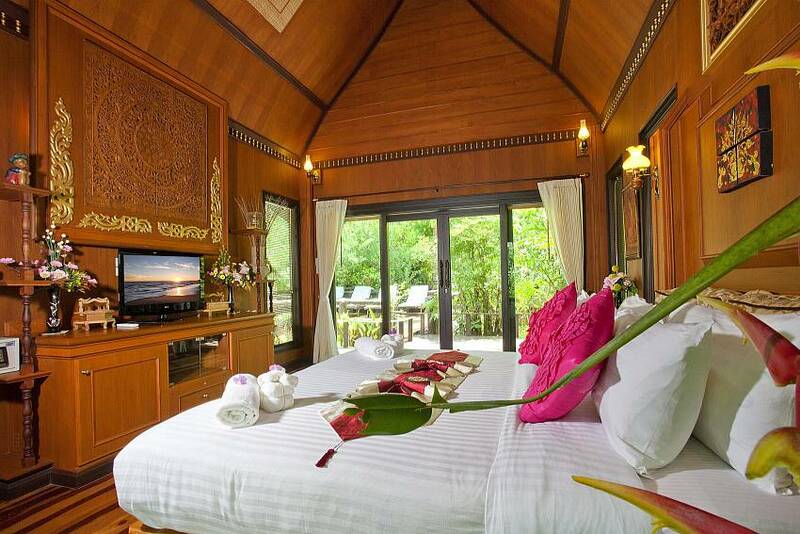 Ao Nang is just 8 km away and has a huge selection of beachside restaurants, bars and nightlife. 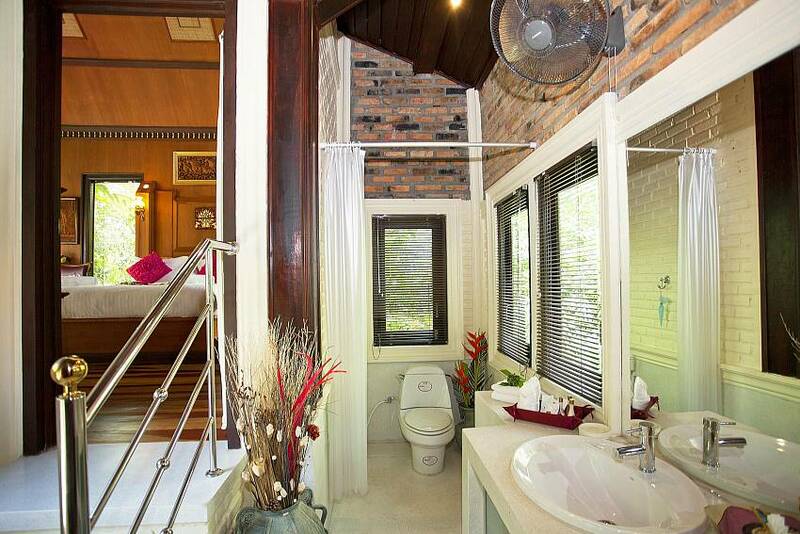 It's also the launching point for boat trips to Phi Phi Island and many other coastal attractions and activities such as snorkelling and kayaking. Krabi town is also 8 km away and has lots of shops and local Thai flavor. There is also a restaurant on the villa's estate, so you don't have to travel to be fed, should you just wish to stay home and relax in your own private paradise. 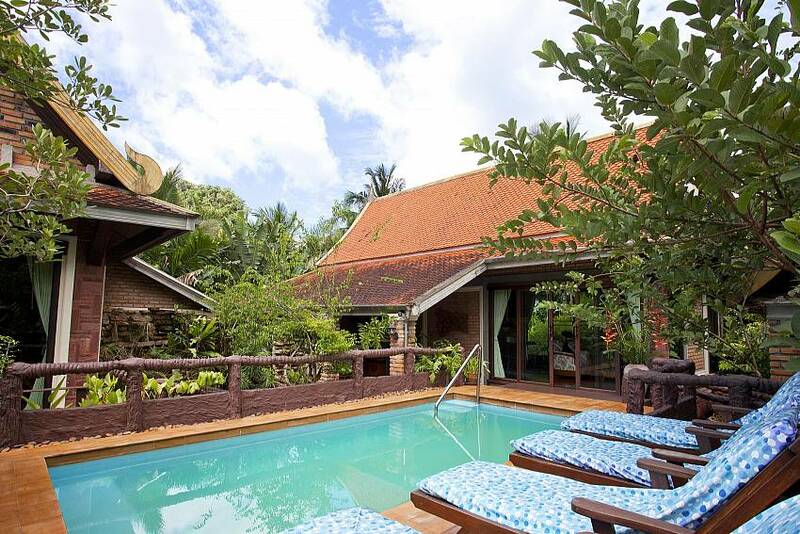 Browse our delightful range of Krabi villas here. 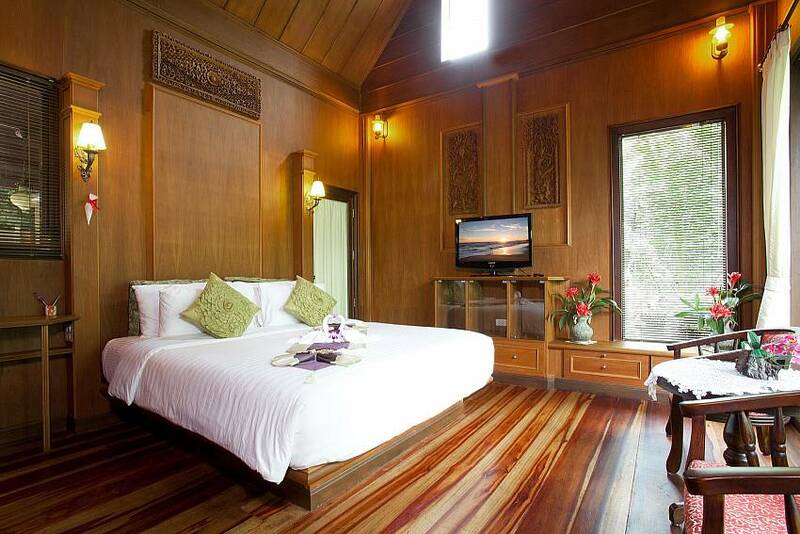 The villa’s two bedrooms have flat-screen TVs, double beds, and en suite bathrooms. 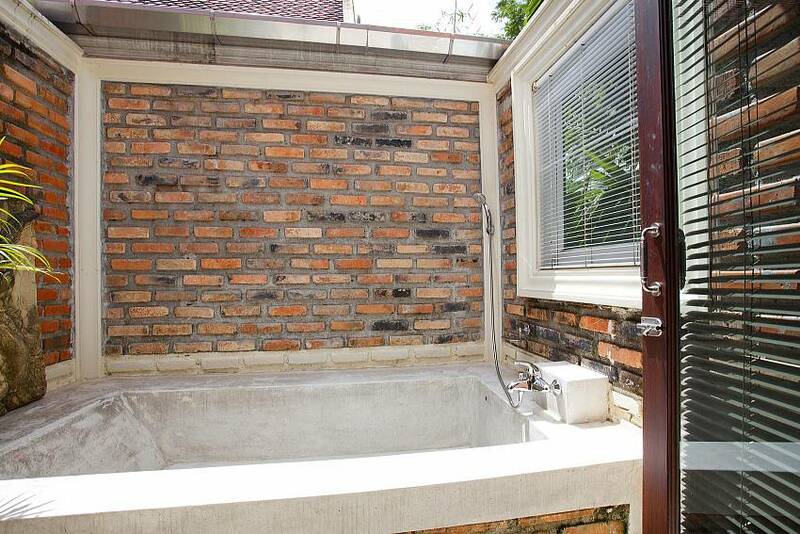 Both bedrooms open directly to the terrace and pool through patio doors. 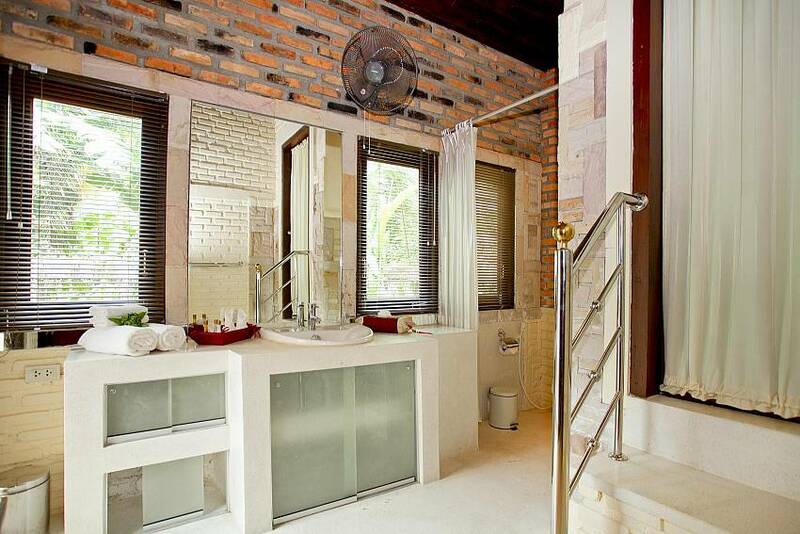 The two spectacular bathrooms are en suite and combine indoor and outdoor living in a very fun and creative way. 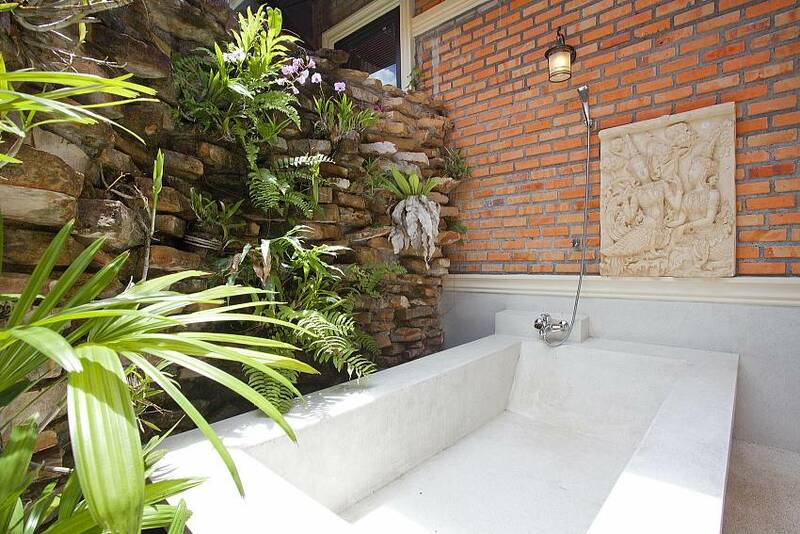 Both have outdoor sunken bathtubs and showers to make the most of the gorgeous tropical surroundings. 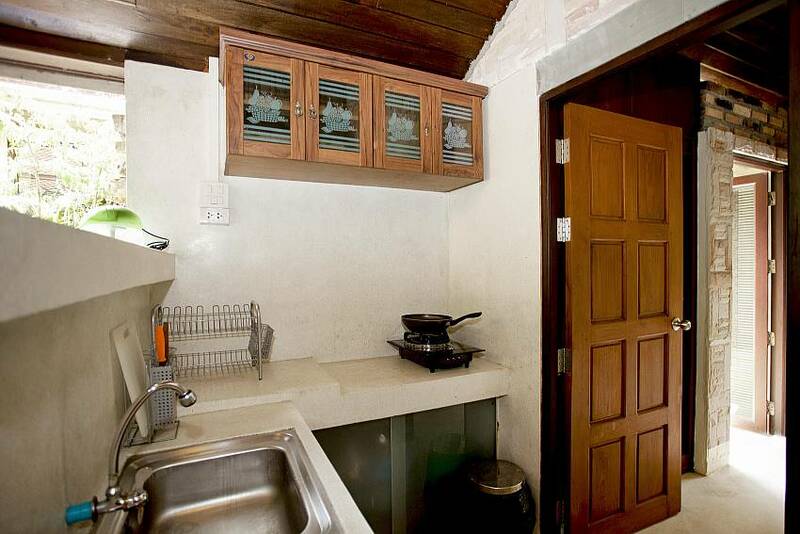 The informal indoor-outdoor kitchen has a nice sense of light and space and is equipped with refrigerator, stove top and wash basins. The living area looks out to the pool and has comfortable furnishings and a large flat-screen TV with international channels. 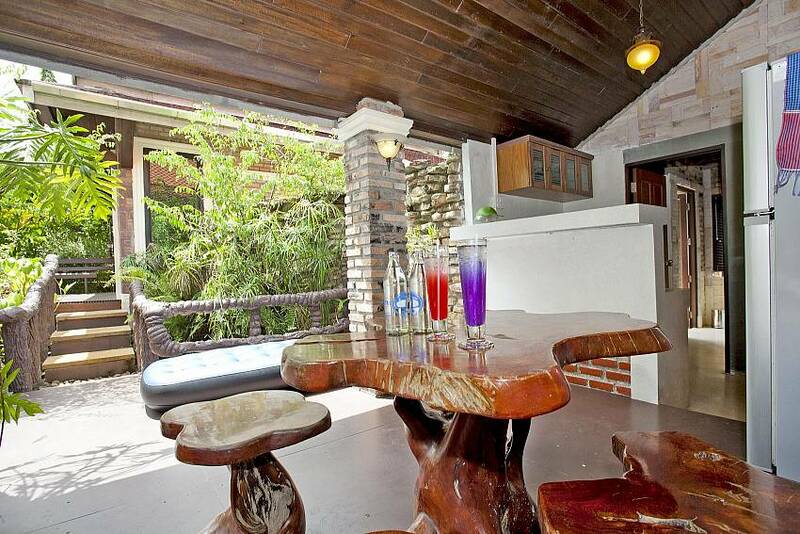 The room has wooden floors and high vaulted ceilings. 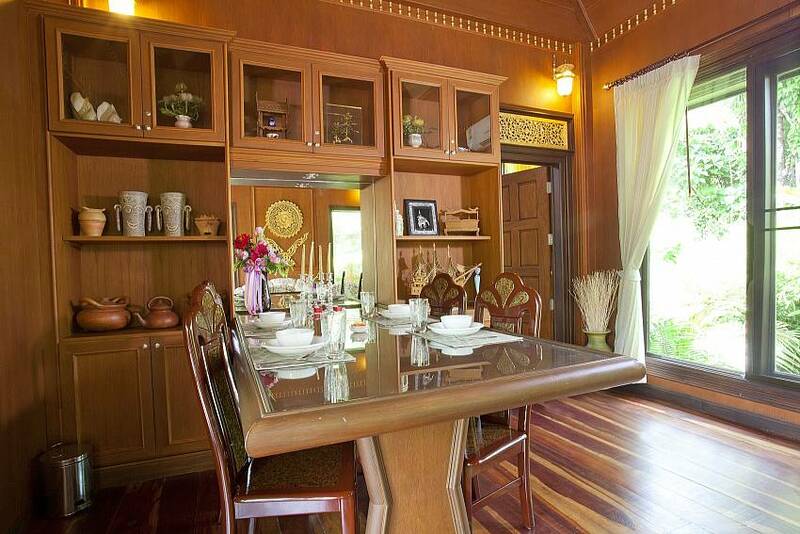 The dining area is a part of the living space and has elegant cabinets and a handsome wood table with seating for four people.